Run your own business, be part of an amazing team! Fancy becoming a Passionate PA? Passionate PAs are different. We are savvy, loyal, dedicated individuals who share a positive outlook and enthusiasm for business and entrepreneurship. We are looking for people, just like us, to join #TeamPassionatePA and build their freelance PA business under our well respected brand. If you are thinking about setting up as a freelance PA but are worried about where or how to start – get in touch! If you want a lifestyle business that gives you freedom and control, and offers unrivalled support and training – get in touch! If you want to be part of a team that supports, nurtures and encourages you to be the best you can be – get in touch! Simply click below to register your interest and Kate Chastey, our Director (and the one in the middle above!) will send you an email straight away with more info! Joining The Passionate PA offers the opportunity to build a business you love with all the support and encouragement you need so that you never feel alone and don’t make the mistakes that are so common when setting up as a freelance PA. We are a PA franchise, with a difference! We have an established business model that enables skilled individuals to use their available working time wisely, by simply getting on with client work and relationship building, without having to spend oodles of time, money or effort on any other aspect of their business such as brand, strategy, target market knowledge, marketing and promotion. Each Passionate PA is self-employed, meaning they are their own boss, in charge of their own client list and financial rewards! This is a career choice, not ‘just’ a job. 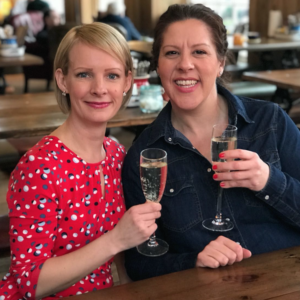 Each franchisee receives a first class ‘how to’ operations manual and all the training, mentoring and support they need to be a fantastic Passionate PA.
Kate and Debbie – not taking life too seriously! 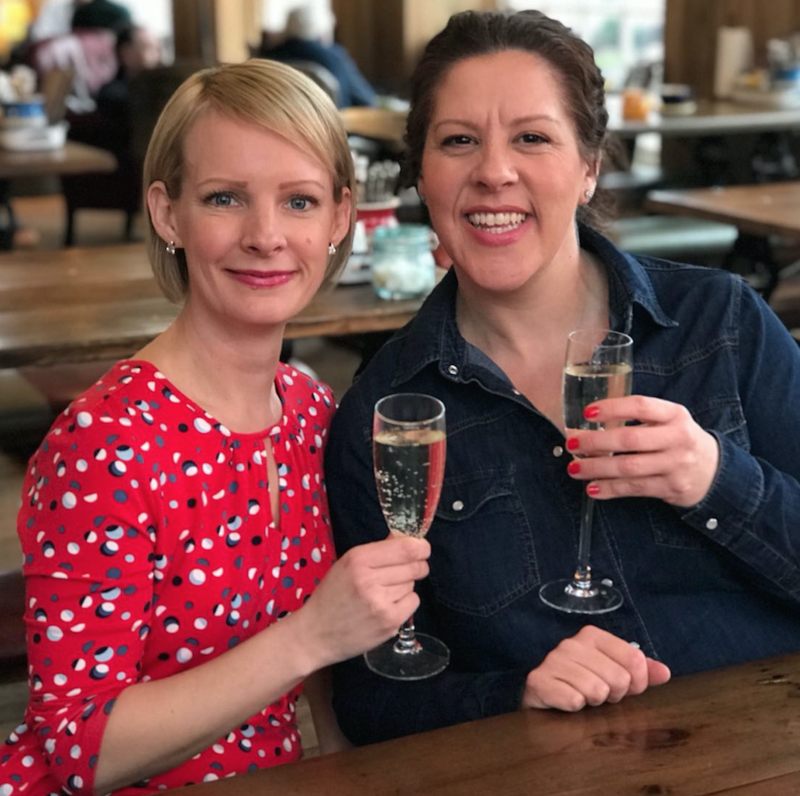 Claire and Jenni celebrating the launch of their businesses in Jan 2018. We are looking for loyal, dedicated, enthusiastic people with Positive Mental Attitude and exceptional business experience, not to mention traditional PA skills as well as a few rather crazy ones thrown in for good measure… Passionate PAs are nothing if not versatile! You’ll need to be honest with a great team mentality as this is NOT a usual franchise… There is no CEO in an ivory tower or competitiveness with each other – if you want to build yourself a successful business that suits your lifestyle, Kate will hold your hand every step of the way and the rest of #TeamPassionatePA will share their knowledge, experience and battle scares with you too. We’re an ethical business, building an exception team, working with exciting and entrepreneurial clients. Simple. If you are motivated by your own success and want to reap the rewards of your hard work, then Kate would love to talk to you. Please send your CV and covering email directly to her. 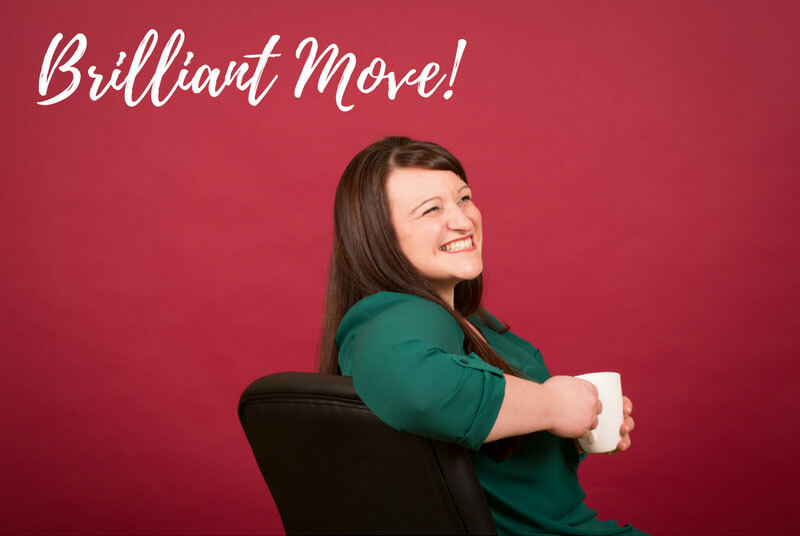 You can learn more about Kate on her page, here, or perhaps you would like to read some of our blogs about Our Team and how they came to be Passionate PAs? If so, click here. Or, if you would like to download further information just click the link below to get started.